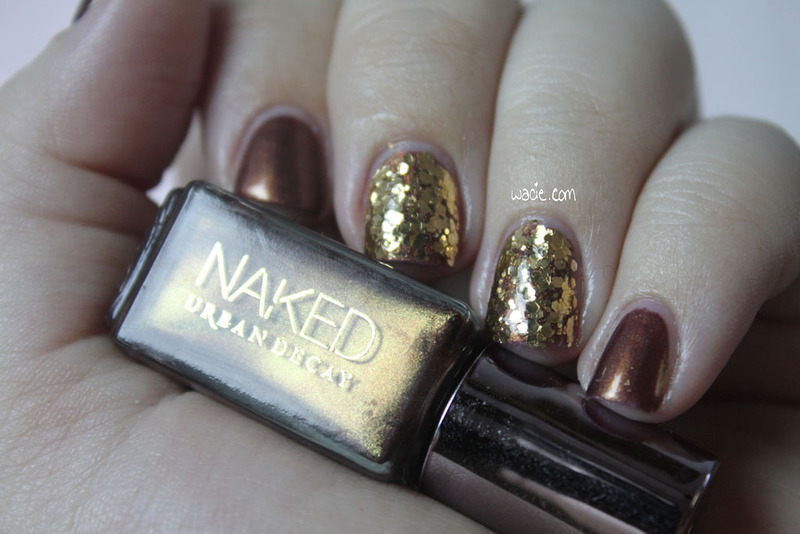 For Manicure Monday this week, I’m wearing one of the super-gorgeous Naked polishes! Every time I get one of these out, I think about how foolish I was to buy this Urban Decay set, and how glad I am that I did, because it’s nowhere to be found now. This is Smog, and I’m wearing two coats topped by one coat of Seche Vite. My glitter accents are Orly’s Too Fab. 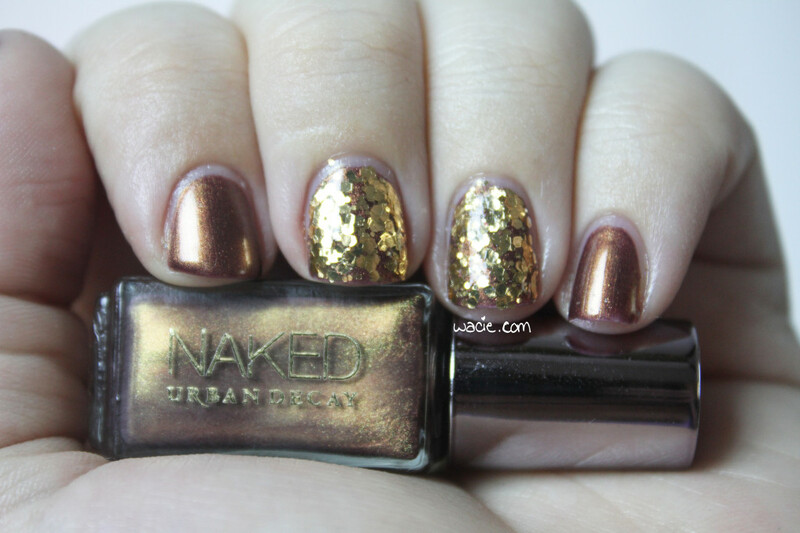 Smog is a bronze polish with a rich golden shimmer. 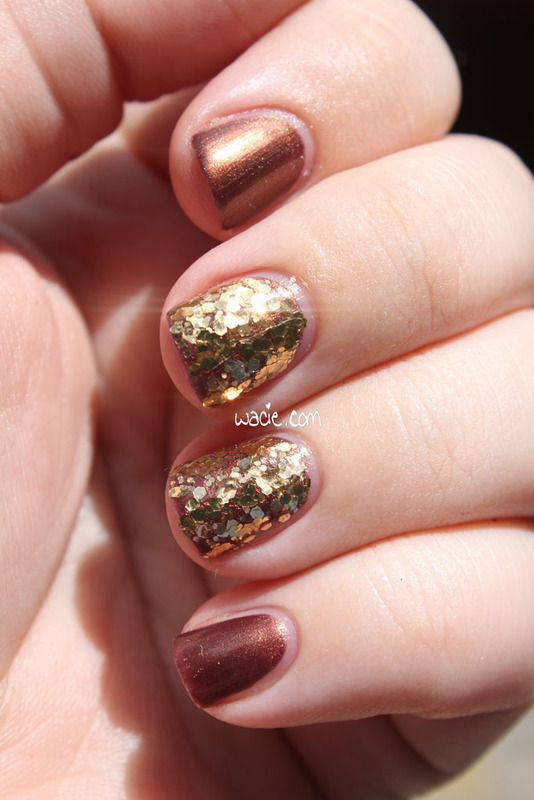 It’s wonderfully opaque in two coats, dries quickly enough, and delivers even color. It reminds me of chocolate ganache, just rich and sweet and shiny. Delicious. I want to wear this so much more often, but the bottle is so small and scarce that I never want to run out. Too Fab is the opposite. Orly bottles are enormous, and I’ve had this one for a pretty long time. 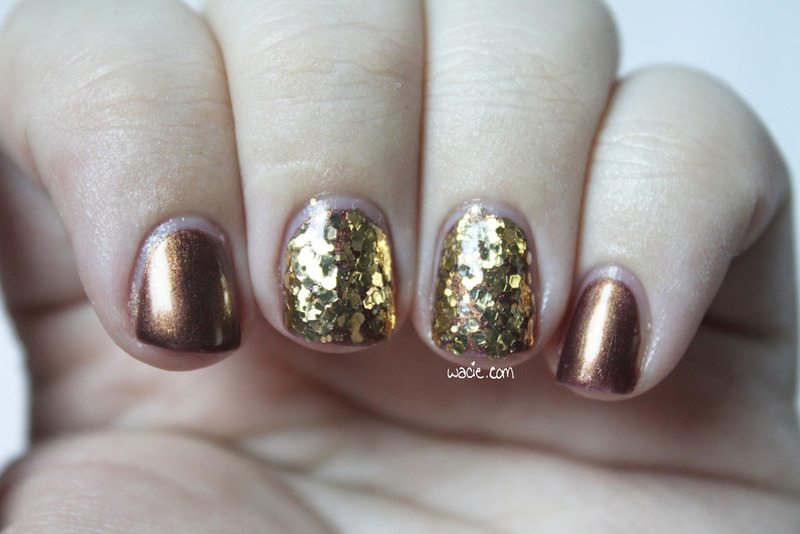 This is like the metallic gold glitter topper that never stops giving. My bottle is a hair more than halfway full, but I will be using it until the end of time, probably. 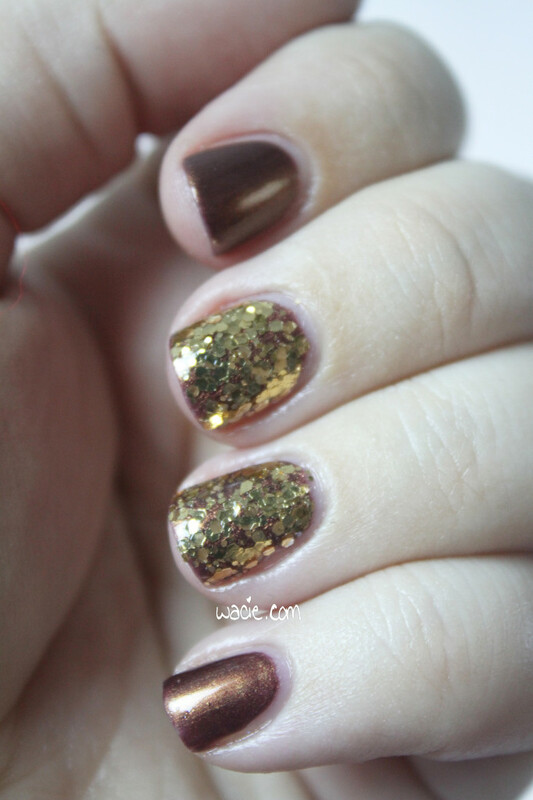 I didn’t expect to get so much glitter on my accents; this is one coat, after all. I wanted to be able to see the Smog through the glitter. It’s still pretty, though. 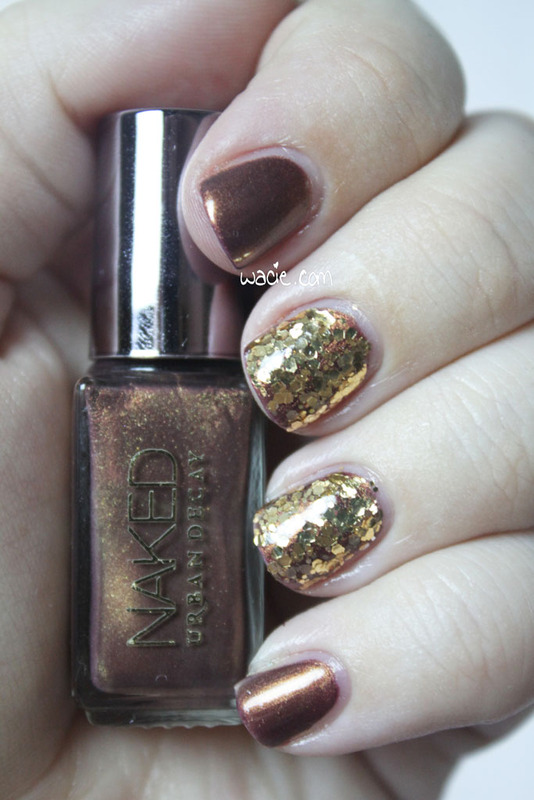 I think the gold and the bronze complement each other very well. Outside, this is just blinding. 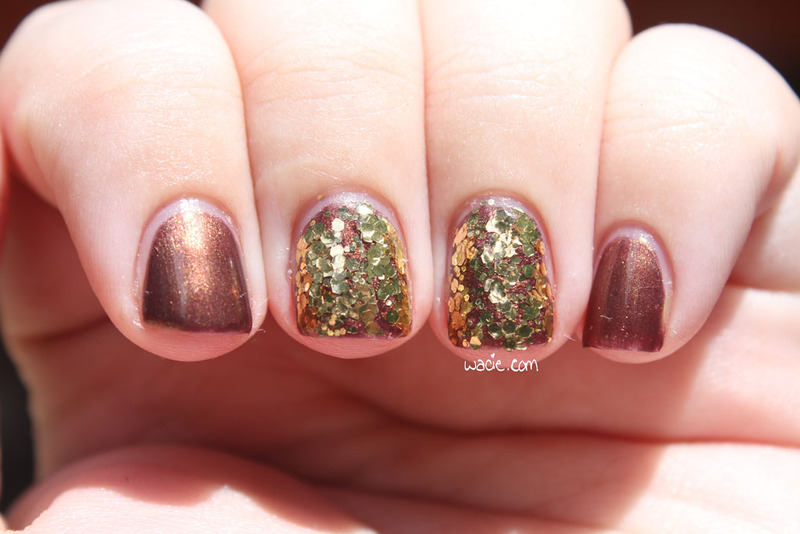 The gold shimmer in Smog is really visible here, and the glitter throws so much light it’s insane. You can see the light flaring off of it. It’s crazy. Handcare rave: I got this cream the other weekend from Ulta. 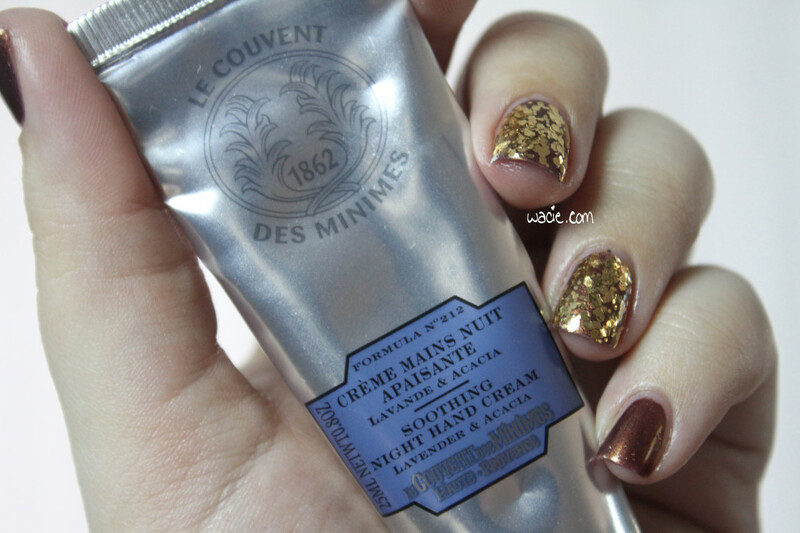 Le Couvent des Minimes Soothing Night Hand Creme has the most delicious lavender scent, and it makes my hands pretty soft. I use it right after I wash dishes in the evening, when my hands are the most dry. It absorbs well, smells incredible, and feels very light after application. The price is a little steep; it was something like $8 for a .8oz tube, but oh my gosh, it was so worth it to me. Final word: these are the perfect polishes for the end of summer and the beginning of the school season. I could not have chosen better. 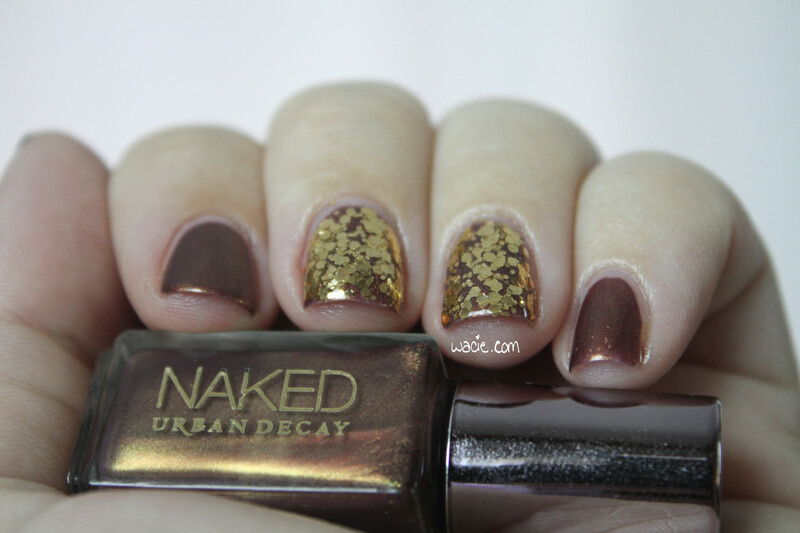 This entry was posted in Manicure Monday and tagged accent nails, brown, glitter, gold, hand care, neutral, Orly, Urban Decay.